When assembling the 2017 top 20 worst bills going to the Governor’s Desk, there were some 15 that were “Who’s Your Daddy?” bills. I could only include a sampling (see MOORLACH UPDATE — 2017 Top 20 Veto Worthy Bills — September 22, 2017 september 22, 2017 john moorlach). Nearly two years ago, I provided an extensive analysis of how the public employee unions run Sacramento (see MOORLACH UPDATE — Blame the Unions — November 9, 2015). One of my biggest concerns in this posting was reiterated recently (see MOORLACH UPDATE — What Pension Crisis? — September 27, 2017). “The unions will say it wasn’t our fault. We didn’t vote for it. You guys [the elected officials] voted for it,” said Sen. Moorlach in an interview Monday. 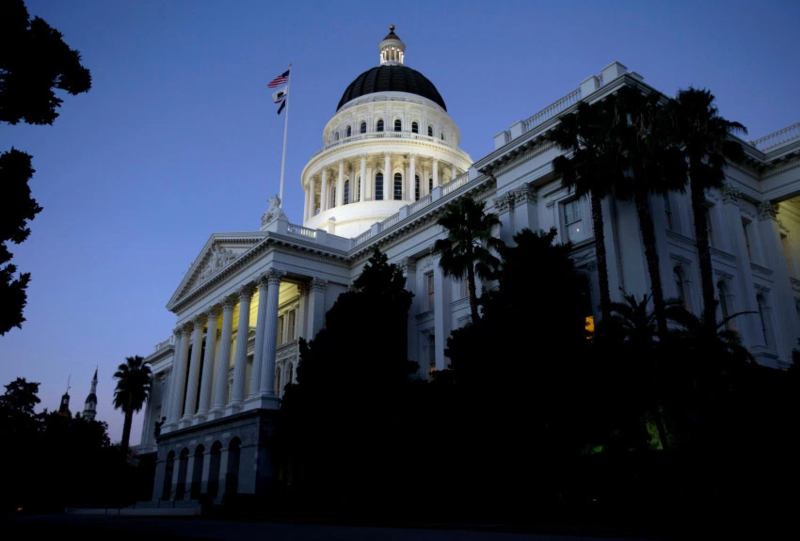 Now that they have the supermajority in the Capitol, public employee unions have free rein in California. They are adding incrementally to their power by implementing law changes that will benefit them. I know that to the victor go the spoils. But, in a government structure, decreasing the tools management has is a strategic mistake. And, it will become apparent in an economic downturn, when cost savings need to be pursued in order to save current positions in an agency. Greed blinds. And, as I’ve said on numerous occasions, when money talks the truth is silent. One bill this year really showed the imbalance. It begged the question, “Who’s Your Daddy?” Major League Baseball fans will remember this chant and the accompanying clap routine (see https://www.youtube.com/watch?v=FRnVZoh2JFs). In fact, it even became a segment of a TBS MLB Post Season show (see https://www.youtube.com/watch?v=FRnVZoh2JFs). The bill that set this chant in my brain this Session was AB 1250, which would greatly increase the cost to counties of personal-service contracts, sharply reducing help given to citizens, especially the poor. We introduced the consequences of the bill to you in this posting: MOORLACH UPDATE — Who’s Your Daddy? — July 1, 2017 . I provided the fun when I asked this very question in the Senate Governance and Finance Committee meeting with MOORLACH UPDATE — AB 1250 Labor Dominance — July 13, 2017. The home team provided an editorial, with Orange County voicing its opposition in MOORLACH UPDATE — AB 1250 OC Opposition — September 5, 2017. I provided my own editorial, on the premise that AB 1250 was not being relegated to a two-year bill status and may be resurrected and show up at the last minute on the Senate Floor (it didn’t) in MOORLACH UPDATE Who Runs Our Government? September 14, 2017 . When a budget trailer bill included an imposition on Tesla, a manufacturer with some 14,000 employees in the Fremont area, I had to ask again in MOORLACH UPDATE — Who Is? — September 13, 2017 . By the final night of Session, one Democrat Senator made Bingo cards. The squares were words that may be spoken on the Floor. This is one way to while away the hours as this annual exercise drones on past midnight. I heard one square stated, “Sen. Moorlach says ‘Who’s Your Daddy? '” The chant had sunk in. The OC Register provides the details of the union-assisting bills in my editorial submission provided in the first piece below. (see MOORLACH UPDATE — OC’s Newest Landmark Plaque — September 20, 2017). As Sacramento is brimming with current and retired state employees, the headline was inflammatory, when not factually accurate. So, I decided to provide a clarification. The good news? It was printed. This past year, many California legislators had the answer of who dominates them: the public-employee unions. Bill after bill, these wealthy unions showed who runs those under the Capitol dome, showing the unions own the supermajority Democrats in the Assembly and Senate. When speaking on the Senate floor, I tried to identify a few of the most egregious bills the unions got the obedient Democratic Legislature to pass and we’ll soon find out if Gov. Jerry Brown will grant public employee union bosses more power to waste your hard-earned tax dollars and control your lives. Even as the Legislature produced a housing bill package, the costs for prevailing wages and inclusionary zoning requirements were dramatically increased in Assembly Bill 73, by Assemblyman David Chiu, D-San Francisco, and AB 199, by Assemblyman Kansen Chu, D-San Jose. Housing costs are a problem and teachers are just as impacted as other professionals. Rather than improve affordability for all, AB 45, by Assemblyman Tony Thurmond, D-Richmond, would give special housing privileges to teachers while also requiring expensive prevailing wages. Currently, parents, friends and others who get paid helping out part-time on playgrounds are not unionized. AB 670, by Thurmond, would change that, pulling funds from the classroom and pouring them into the pockets of union leaders. For the months school is not in session during the summer, AB 621, by Assemblyman Raul Bocanegra, D-San Fernando, gives custodians, school food workers and others without teaching or other professional credentials a back-door pay raise. It’s projected to cost schools up to $200 million a year in money that ought to go to teaching, pensions and retiree medical care. The union shenanigans continue in higher education. Our public colleges and universities regularly contract out for specialty services that could be done more economically and effectively in the private sector. But that restricts union jobs. So, why not find ways to hamstring the process with three bills? AB 168, by Assemblyman Evan Low, D-Campbell, would require “project labor agreements,” which reduce competition, thus increasing costs. AB 848, by Assemblyman Kevin McCarty, D-Sacramento, would ban outsourcing jobs to foreign countries — academic protectionism — costing up to $37.5 million a year from school budgets. And AB 1424, by Assemblyman Marc Levine, D-Greenbrae, would make allowing “best value” contracting for University of California construction projects permanent, which reduces the importance of lowest-price bids, possibly increasing costs at a time of rising tuition. For the bad teachers, AB 1651, by Assemblywoman Eloise Gómez Reyes, D-San Bernardino, further complicates the process of removing them. Another union power-grab authored by Bocanegra is AB 1455, which would exempt collective bargaining documents between a local public agency and its employees from the Public Records Act. As a former Orange County supervisor, I can assure you that letting the public see what’s going on in negotiations is essential to clean, open government. But that’s precisely what the unions don’t want. Home care aides are not so lucky in AB 1513, by Assemblyman Ash Kalra, D-San Jose, which would require the Department of Social Services to release their private information. This bill is not only a blatant invasion of privacy, but it’s also a shameless attempt by public employee unions to increase their membership. As crime creeps back up after the passage of Propositions 47 and 57, AB 1320, by Assemblyman Rob Bonta, D-Alameda, would ban new or renewed contracts with private prisons in other states, and all such contracts by 2021. Without the flexibility to contract with out-of-state private prisons when inmate populations fluctuate, the estimated cost of the bill could be hundreds of millions of dollars. That’s legal robbery of taxpayers — all for the sake of in-state, union-operated prisons. AB 83, by Assemblyman Miguel Santiago, D-Los Angeles, allows collective bargaining for the Judicial Council. And if court costs weren’t enough, expect additional fees on fines for traffic violations to pay for these union privileges. We’ve had a lot of debate this year about increasing gas taxes and extending draconian cap-and-trade policies. Unions are out to get more advantages out of oil refineries who claim exemptions from the state’s skilled and trained workforce provisions in AB 55, by Thurmond, by using intimidation tactics with legitimate contracts signed years ago. And, if you like cheaper, delicious customized food, AB 1461, by Thurmond, adds pointless red tape to give food unions an edge on the new gig economy for simply selling ingredients for meals people then cook at home. Federal law already covers these services. Only one Democrat had the guts to vote against this power grab. Sen. Steve Glazer, D-Rio Linda, voted no on four of these bills. He looks for the union label. So should his colleagues. Space is limited, but I could list more bills of this sort, compelling me to ask of the majority party: Who do you answer to? I thought so. Re “California pensioners: Your COLAs are safe, for now” (sacbee.com, Sept. 20): Reporter Adam Ashton’s article contained useful information regarding two letters I wrote to CalPERS in July, but parts of its text were misleading, as was the headline. The article said in one letter I asked CalPERS to look at reducing benefits for current workers and retirees by moving them into the less generous plans public agencies began offering in 2013 through the California Public Employees’ Pension Reform Act. The letters I sent were requests for actuarial data on the cost impacts of temporary cost-of-living freezes and moving classic employees into Pension Reform Act plans prospectively. The letters specifically pointed out the actions contemplated would not affect current employees or active members. Changing COLAs can only be done prospectively for people who are not currently retirees. As the Sept. 19 Finance Committee hearing at CalPERS showed, the pension crisis is getting worse for cities. Reviewing data is a critical step in assessing this most significant of fiscal concerns facing our state and its municipalities.